Few seasons compare to summer when it comes to home sales. Americans are not only more inclined to move during summer, but there is no shortage of events or themes to help liven up your real estate marketing strategy when reaching out to them. Quite simply, whether your goal is to acquire new clients or retain old ones, the only limit is your own imagination. 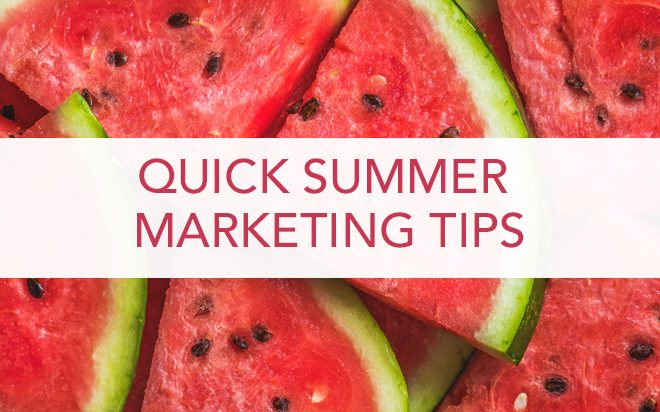 What are you doing to incorporate summertime themes into your marketing strategy? Below are 4 creative tips to help get your gears turning. Keeping-in-touch with current and former clients is vital in real estate. Without them, agents would constantly need to generate new business from scratch. When you already have an established relationship, however, the potential for more business always exists. One way to keep-in-touch is to organize a summer barbeque. Who doesn’t love a good hamburger or hotdog? On one hand, you create an opportunity to catch up and network. On the other, you remind clients you still care. Everybody wins. There is no better season to begin a new direct mail marketing campaign than summer. According to U.S. News & World Report, most Americans move between May and September. Why not customize your direct mail postcards to coincide with a popular summer holiday? Holidays not only come pre-packaged with themes to incorporate and build from, but allow you to reach out to clients without seeming too random or unexpected. Unsure where to start? Fourth of July is a great place. You can begin mailing at the beginning of summer and there are a variety of colors and themes to work with, including fireworks, American flags, and the Statue of Liberty, just to name a few. Everybody loves advice that makes life easier and more efficient. Fortunately for real estate agents, summertime is packed with wonderful opportunities to share useful tips with past and former clients. One way to do this is to send out postcards or email blasts with homekeeping or gardening tips. All homeowners want and love a nice yard. Homeowners will not only find the advice helpful, but love the fact that you took the time to help them with their home and demonstrate your expertise. Summer is always packed with events and attractions. Why not use them to your advantage? Much like keep-in-touch BBQs, events and attractions not only give you an opportunity to be involved in the community, but promote your brand in creative ways. Is there a water theme park nearby? An upcoming fair? A concert? Try co-sponsoring one of them or organizing a fun keep-in-touch social (you might even be able to split some costs). Better yet, once you know your game plan, mail out calendars or postcards to help keep everyone informed. Clients will remember you. 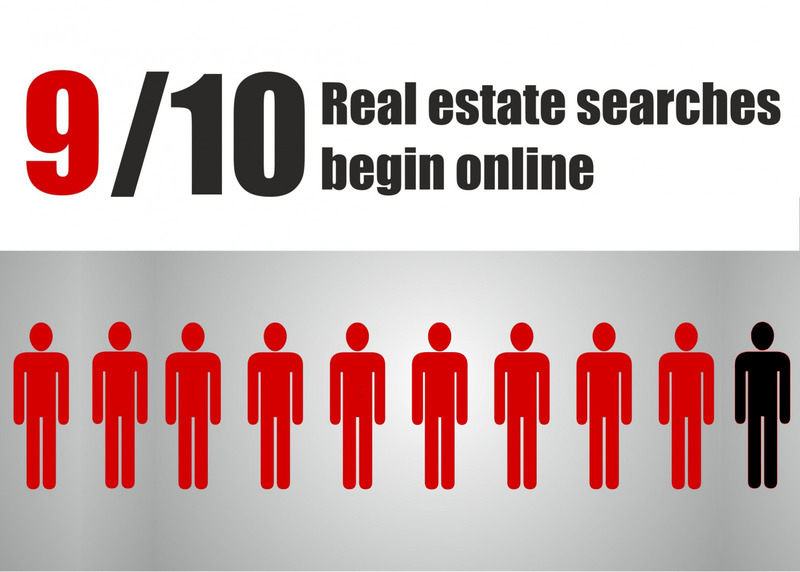 There is no right or wrong way to generate business in real estate. Every agent is different. There are, however, certain times of the year that make it easier to keep-in-touch with former clients and generate home sales more than others. When it comes to summer, it doesn’t get much better. 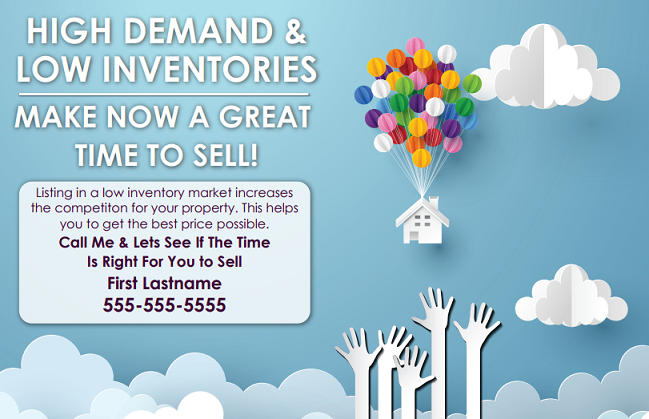 People are already looking to move. There are a variety of holidays and events to leverage. And the weather is perfect for just getting out there and talking to people. What are your marketing plans for this summer? The above ideas are a great place to start.